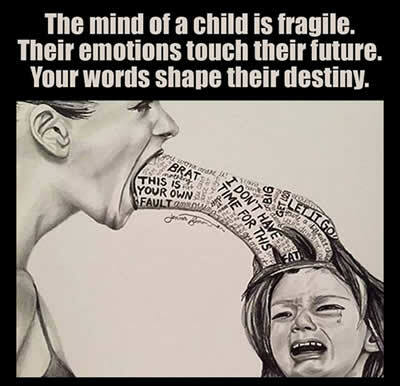 The mind of a child is fragile. Their emotions touch their future. Your words shape their destiny. Previous articleA morning text does not simply mean, Good Morning .